Instagram has always had a close association with Twitter for me. It’s rare that I post a shot into my Instagram stream without also cross-posting it to Twitter. 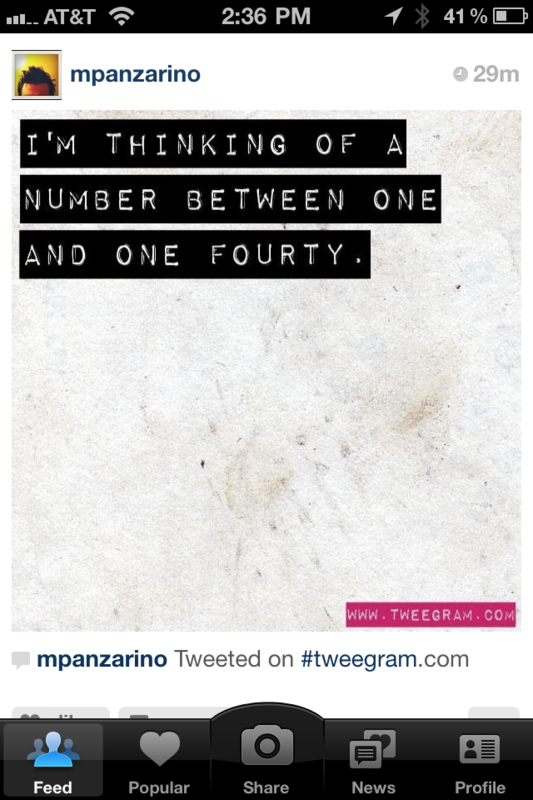 Now I can do the opposite as well with Tweegram. Tweegram is a cool web utility, also available in a mobile flavor, that allows you to enter a 140 character ‘Tweet’ and inject it into your Instagram timeline. It’s a super simple idea but I think it could be a cool way to share a few words with your Instagram followers now and then. 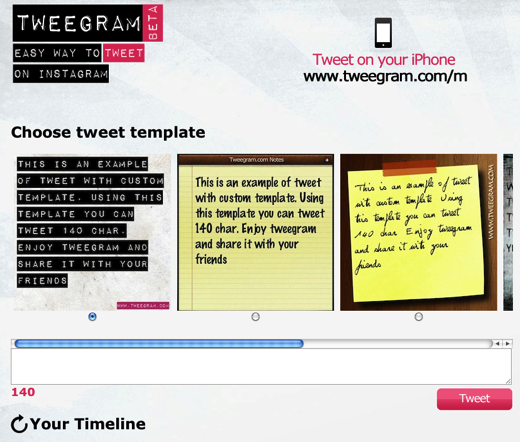 To send a Tweet to your timeline just punch in 140 characters or less, choose a design template and hit Tweet. There are currently only 5 templates to choose from including punch label, notepad, post-it, stencil and chalkboard inspired options. 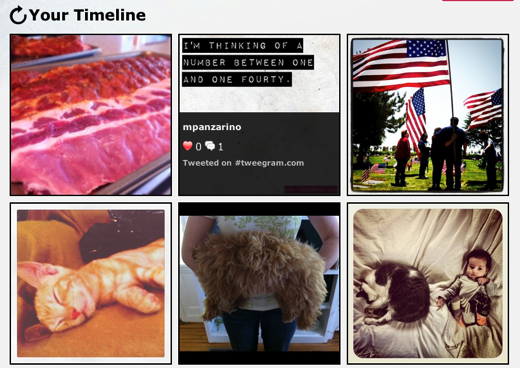 The message is then generated as an image which is posted directly into the Instagram timeline. This is actually the first app I’ve seen that posts Instagram images into a feed instead of allowing people to view them externally. I talked to Tweegram’s creator Fabio Ciotoli and he confirmed that this isn’t a function of the official Instagram API, it’s something that he brewed up on his own. He also promises many more templates are on their way to the app soon. Tweegram is a interesting spin on the Instagram formula and I hope that the creative injection method that it uses to get the photos into your stream doesn’t get it into hot water. I want to continue to be able to drop 140-character nuggets of wordy aweseomeness into my Instagram stream.